The property is located on the Old Moor Road Industrial Estate to the North East of Mansfield. 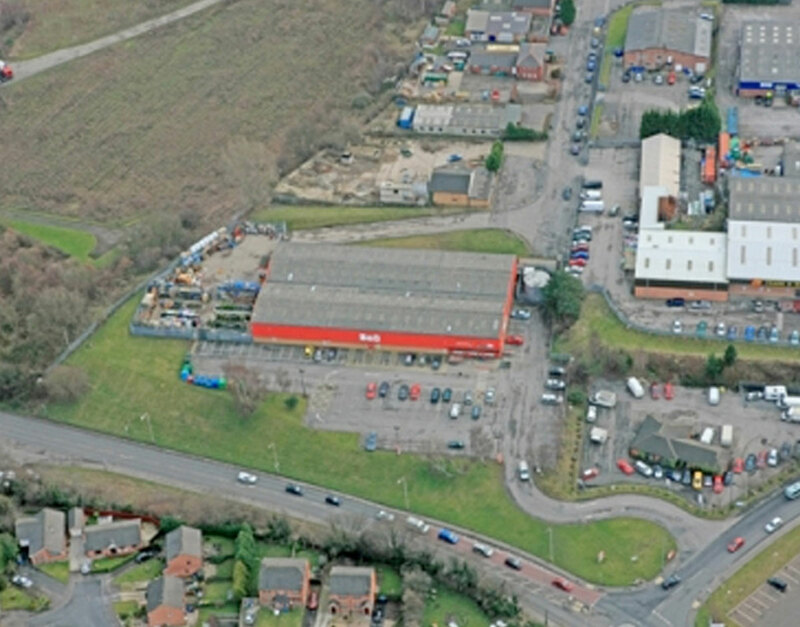 The unit comprises a 20,000 sq ft industrial facility let to B & Q and is in an elevated position and very prominent from the main arterial route into Mansfield. It has ample car parking for a trade depot. Close to Mansfield Town Centre. Old Mill Lane is situated just off Leeming Lane South which is the A60 Nottingham/Mansfield/Worksop road. The estate is less than two miles north of the town centre of Mansfield with regular bus and train services to Nottingham and Worksop. The development provides good access to both the M1 and the A1. Occupiers located within the immediate vicinity include B & Q, Carpet World, Royal Mail and JTF Wholesale.